The site owner has to set the link colour to match his default link styles. 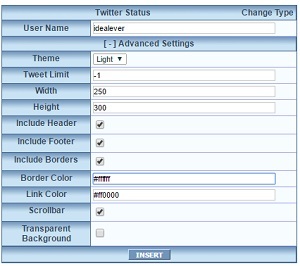 There is no current way to use the control to change the colour used for the account link in the header or the links in the footer. 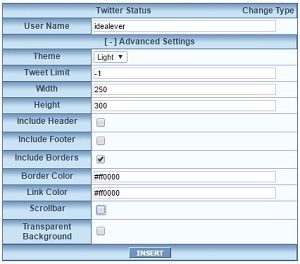 Twitter drop in with default size, "light" theme, header, footer & scroll bar all checked. Final one with no header/footer to get an idea of what that looks like. The twitter feed below should be 400 pixels by 500 with a black border and red links.